As per the ASTM D 1709 and IS 2508 standard. 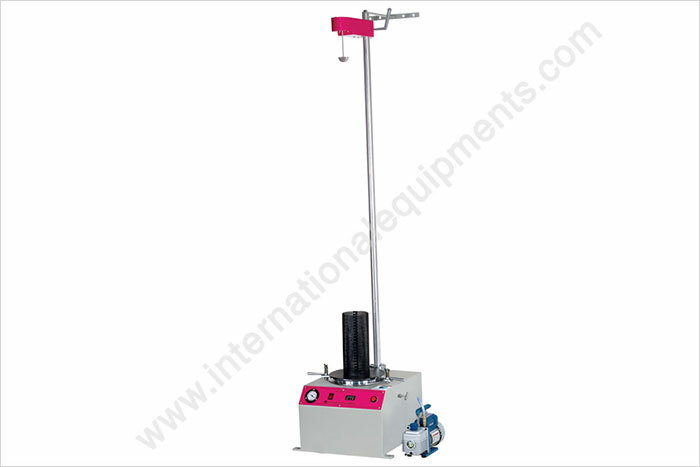 This equipment is mainly designed to check the impact failure weight of films and sheeting by a falling weight impact method. • Dart : 2 nos. • Release mechanism : Electromagnetic. • Vacuum creation : Single stage oil vacuum pump. • Weights : A set of weights ranging from 5 grams to 500 grams would be supplied for incremental loads.